Some facts … which should really make you thinking!! MIT Technology Review (May 2013): AM is one of the 10 breakthrough technologies in 2013, pointing out that “GE, the world’s largest manufacturer, is on the verge of using 3-D printing to make jet parts”. 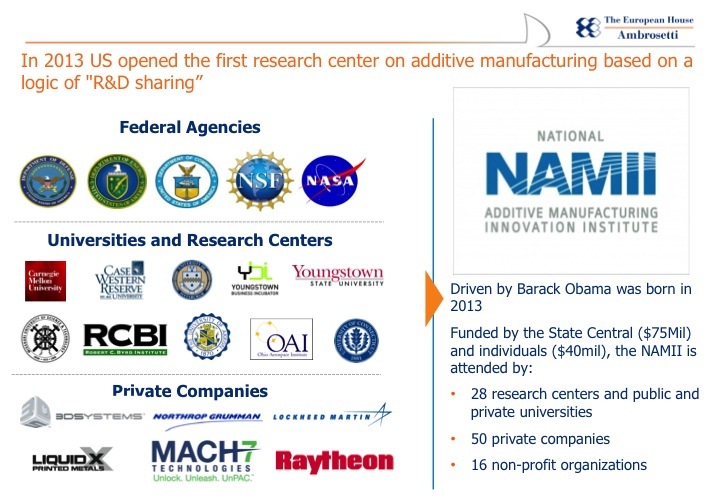 Up today to our knowledge in Italy (unlike other countries, among others USA – Fig.2) there is no industrial district or university, which has set AM as a target activity!! 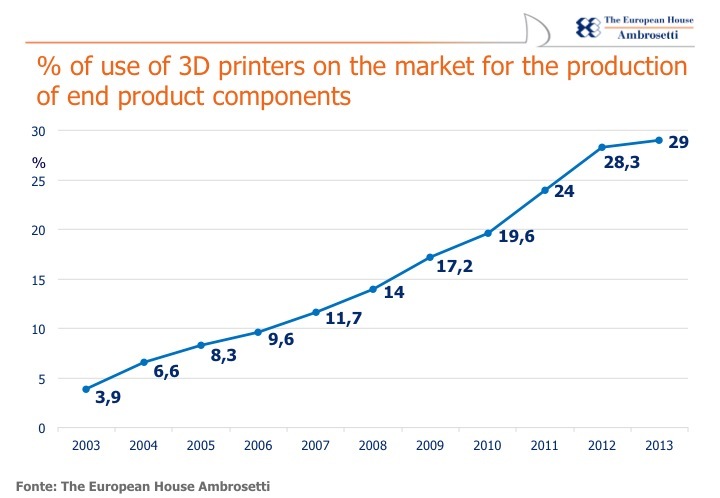 Fig.1: Data on the usage of 3D printers for the production of end product components (courtesy of the European House Ambrosetti). Fig.2: USA investment on AM research centers (courtesy of the European House Ambrosetti).